Clicking hard drives are unfortunately very difficult to recover data from. Usually a hard drive clicks because the heads have crashed and are no longer reading data from the platters properly. The head will not engage and the click noise occurs when the shoots to one end of its range of motion to the other, without a dampening effect or stopping in the middle to read data. When this occurs, the drive needs to be opened in a clean room, and the heads need to be changed. Anyone attempting this repair that does not have significant expertise in mechanical data recoveries and/or the proper equipment, WILL permanently damage the drive such that the data will never be recovered. PLEASE avoid letting any inexperienced technician attempt a mechanical data recovery. For mechanical data recovery failures, including clicking hard drive recoveries, we must mail the drive offsite. We simply do not have a clean room or the equipment onsite to handle these types of recoveries. However, we only mail drives to trained experts that our owner has personally worked with for several years. These technicians have over 50+ years of data recovery experience between them and are the best in the business. If you need serious data recovery in Tallahassee, we can help! The first thing you should know about our clicking hdd data recovery services is that we do NOT charge you a recovery fee if the data you wanted is not recovered. This seems obvious to us, but we’ve seen far too many companies charge a fee for a non-recovered drives. Just like all of our jobs, we offer free estimates on data recovery. In some cases, we may need a non-refundable deposit to buy parts for your drive, but we will discuss that in detail with you before proceeding. Every clicking drive recovery is different and we can give you a quote for your recovery before you commit to anything. 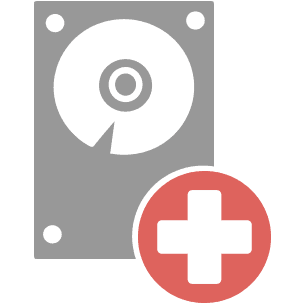 Clicking hard drive data recovery is a tricky business, but we can help. We offer free estimates so you’ll know how much your recovery will cost before you commit to a purchase. PLEASE, make sure your data is always backed up in at least two separate locations. Hopefully you’ll never need data recovery, but if you do, our expert technicians are here to help. And as always, if you have any questions or concerns, feel free to give us a call or fill out our Ask a Question Form and one of our trained managers will be happy to help you! Don’t want to bring it in just yet? Fill out our Ask a Question form and we’ll try our best to help you out without seeing the machine! Or just give us a call; we’re open every day but Sunday!